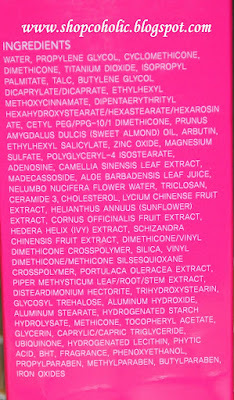 * Lighter feel and sebum control - more powerful sebum sebum-controlling ingredients kava & pursiane extracts will exhibit an oil-free soft skin that is not sticky. * Up the water absorption - helps skin retain moisture & display a moist & smooth skintone. * All day whitening & wrinkle skin care - the skincare that changes dark & dry skin into transparent & clear and maintains wrinkles to show a smooth and elastic skin. * 10 in 1 non-stop solution - whitening + wrinkles + sebum + moisture + skin barrier + UV + perfection + corrects skintone + skin adhesion + base makeup. 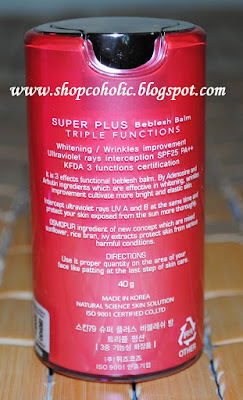 The complete BB cream for a busy person. * Protects against UV radiation - SPF 25++ PA protects UVA & UVB, and protects your skin at all times. RETAIL PRICE: Regular price is HK$224 (about Php 1,300) but I got this on sale for less than Php 1,000. I bought this during my Hongkong trip a month ago. 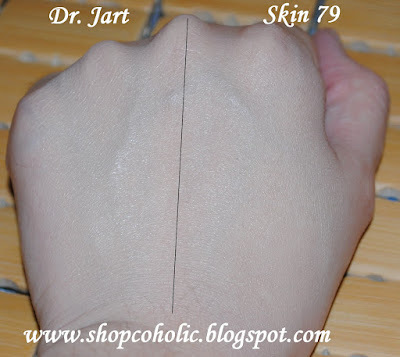 * the pump dispenses just enough amount product ; I only need 2 pumps for my face & neck. 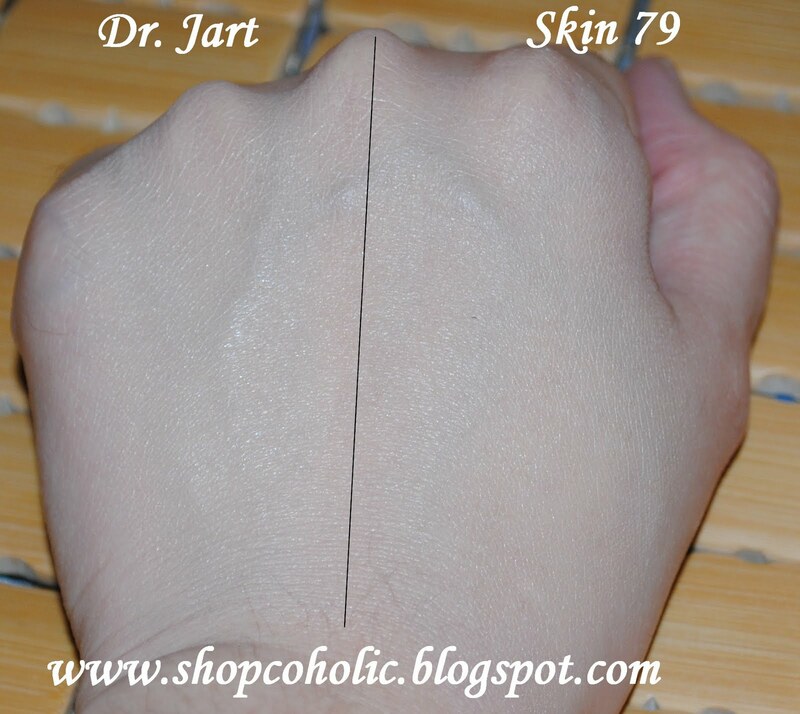 * texture is a bit thicker than Purederm but not as thick as Dr. Jart Silver label. * offers sheer to medium coverage. * not available locally. If you want to buy one, try Ebay or Multiply shops. * available in only 1 shade and fits NC20-35 skintones IMO. * oil control is so-so, after 3 hours my t-zone starts to look shiny (when used without primer). * After washing your face, apply right after skincare products. * For oily skin, apply primer prior to BB cream application. Set with loose powder/pressed powder with good oil control. * To avoid looking cakey, blot your face first using oil absorbing sheets before applying powder. * Please remove all traces of BB cream/makeup before going to bed to avoid clogging your pores. Ladies with dry-normal skin that needs minimal coverage. Okay so this is the 9th BB cream that I've tried. 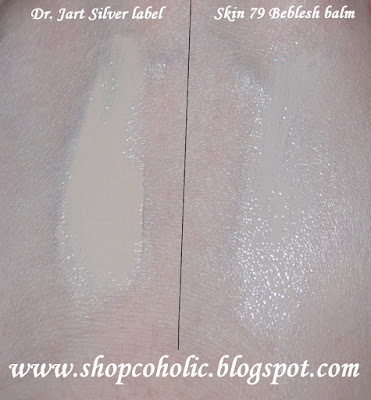 I wish the staying power is good and the shade is kinda lighter coz I'm acidic, but that can be fixed using a good primer and a lighter shade of powder. 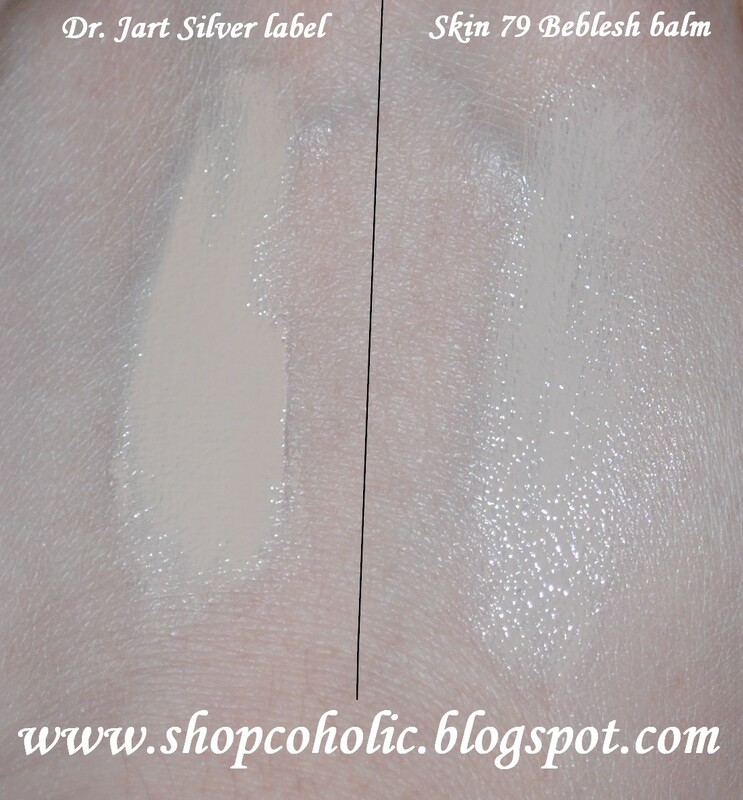 My all time favorite is Dr. Jart Silver Label because of its coverage and staying power. I even asked my bro in law who's based in Hongkong to buy a back-up for me coz its much cheaper there. Will post swatches of all my BB creams soon (I alternate using Missha Perfect cover #13, Purederm Magic BB cream, Skin79 and Dr. Jart Silver label). 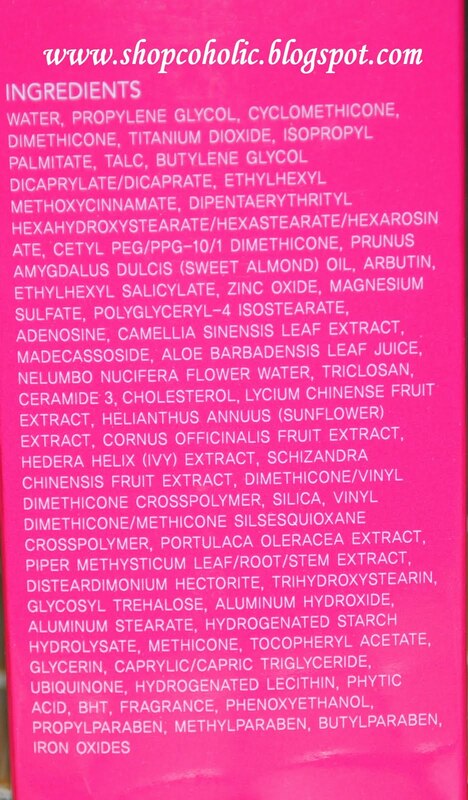 If you plan to purchase online, please beware of FAKE Skin79 BB Creams. To check whether its authentic or not, check out this post from Little Makeup Box. Hey Kim! I've been looking for the perfect BB cream but they all seem to make me break out :( My skin's too oily... 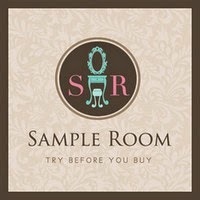 I wonder if you have a brand you can recommend for me try ;) TIA! You are lucky this one worked for you. At the moment I'm really struggling to make it look ok on my skin. It looks odd and super heavy. I'm still testing it so we'll see. I wanted to try other BB Creams, but ever since the first BB cream (Purebeauty) I tried gave me breakouts, I'm scared to try other BB Creams na. I've been wanting to try this, but I also don't really want a sheer foundation. Medium to full coverage is definitely my favorite type! i've tried this one too but i like the gold version better.. I know this might be a silly question but is BB Cream for everyone? I'm hispanic/italian/white and I've always been facinated with BB Creams. i agree with what you said. :) i tried this before and it does produce a greyish cast. >.<"
Thanks for the review. I really want to try this BB cream out but I could only find it only on online stores. i was hoping it doesn't have whitening properties :(. but i also love the hot pink color of the bottle. I am really looking for a good bb cream for me, i just hope this one will work for me. THanks for teh review sis. Btw i tagged you on my post, hope you like it. And the undertone is pink... Very impractical as majority faces has yellow undertones. Just be aware not to use this if you are going to use flash photography. You'll look like a ghost with a white face due to the spf in most bb creams. True experience.